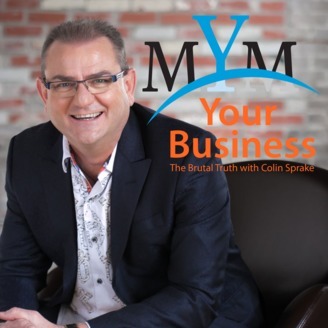 Welcome to MYM Your Business: The Brutal Truth. 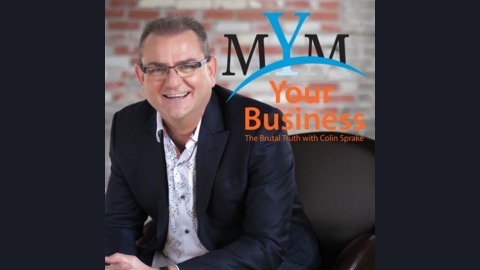 This podcast is devoted to getting business owners and entrepreneurs to be massively successful in all areas of their life. I want you to get ahead, no matter what your circumstances are, and this podcast is going to assist you with understanding exactly how to do that. Learn to build a very successful business, a successful family, and a successful you, all at the same time. Each week has a different focus: Week #1: The first week of each month is going to be devoted to business mindset. Really getting your mind in the game because your mindset is the most important part to being massively successful in your business. Week #2: The second week of each month, I'm going to bring onto the podcast my personal mentors. People who have mentored me in all areas of my life, because to be successful in business doesn't mean just being successful in understanding marketing or sales, etc. It's also being successful in your relationships, your health, your whole life. Week #3: The third week of each month is going to be devoted to business tools. Real solid business tools in sales, marketing, operations, and profitability, to really get your business to the next level. When you are finished with the third week of each month, you'll have set tools that you can use in your business immediately. Week #4: The fourth week of each month is super exciting with entrepreneur stories. I'm going to bring on successful entrepreneurs and business owners that have faced the challenges of growing a business and gotten themselves to the next level. You're going to learn from them what it took to get where they are. JJ is a prominent TV and media personality, whose previous features include co-host of TLC’s Freaky Eaters, 2 years as the on-camera nutritionist for Weight Loss Challenges on Dr. Phil, and appearances on PBS, Dr. Oz, Rachael Ray, Access Hollywood, and the TODAY Show. She also speaks regularly and has shared the stage with notables including TD Jakes, Tony Robbins, and Brendon Burchard. JJ is the author of four NY Times bestsellers: The Virgin Diet, The Virgin Diet Cookbook, JJ Virgin’s Sugar Impact Diet, and JJ Virgin’s Sugar Impact Diet Cookbook. Her latest book, Warrior Mom: 7 Secrets to Bold, Brave Resilience, shows mothers everywhere how to be strong, positive leaders for their families, while exploring the inspirational lessons JJ learned as she fought for her own son’s life. JJ hosts the popular JJ Virgin Lifestyle Show podcast, with over 4.5 million downloads and counting. She also regularly writes for Rodale Wellness, Mind Body Green, and other major blogs and magazines. Find articles, recipes, helpful online programs, and more at www.jjvirgin.com.